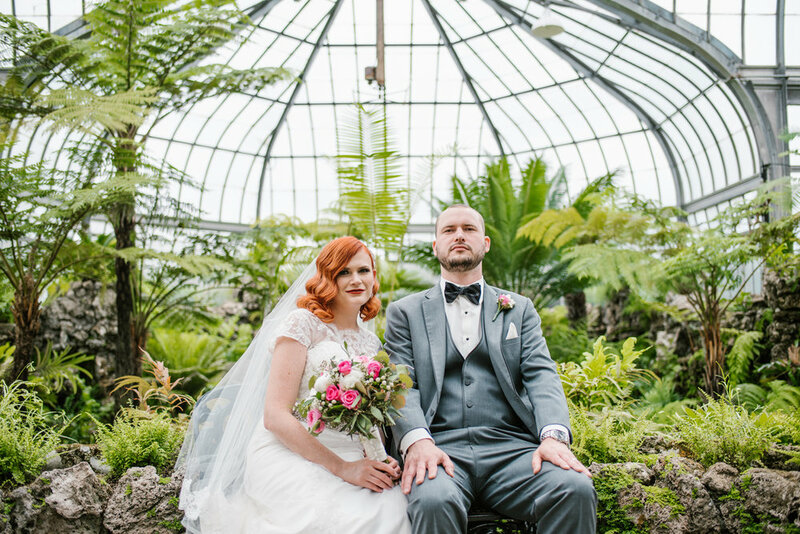 Melissa and Scott’s wedding at the Belle Isle Conservatory in Detroit, Michigan was one to remember. 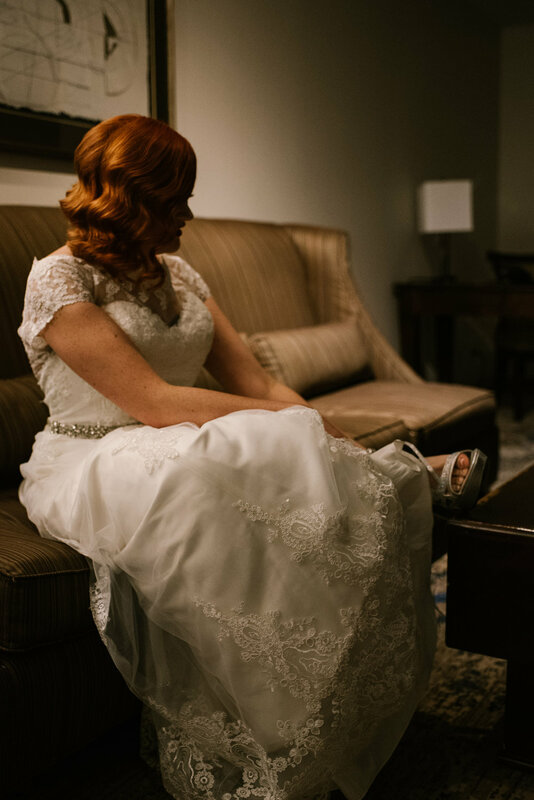 Not just Melissa's beautiful hair and pops of pink in her bouquet, but the feeling of love for the two of them. The day started at Athenium Suites with Melissa, her unofficial Maid of Honor (and BFF) Savannah and Aunt getting ready. 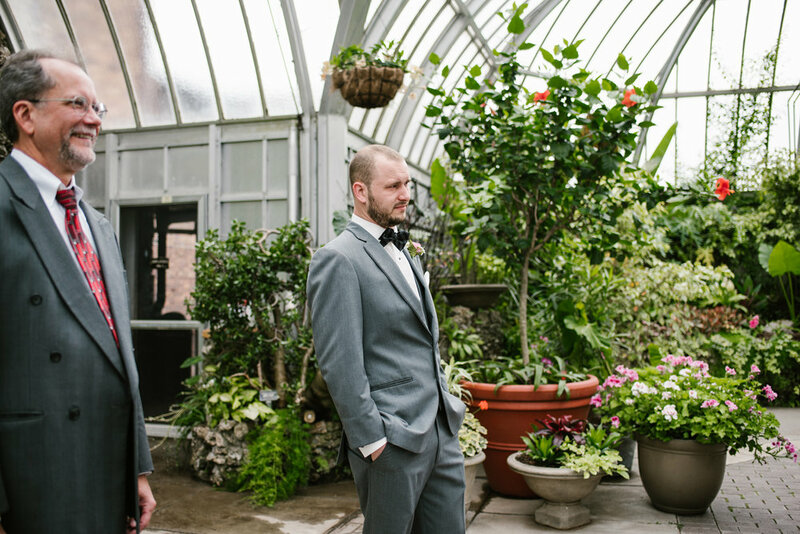 We then headed to Belle Isle for the ceremony which took place in the Show House of the conservatory. 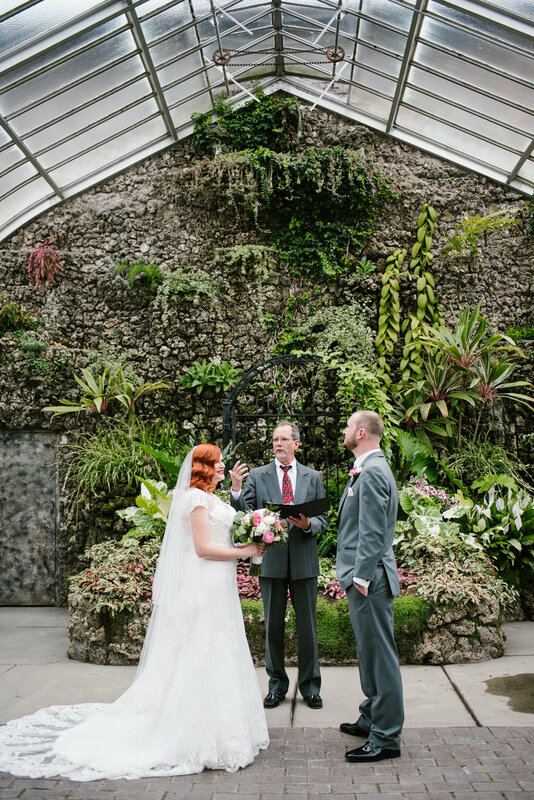 The Belle Isle Conservatory is the oldest continually-running conservatory in the United States. I asked Melissa about how her and Scott met and it's a very interesting story of distance, this is what she had to say, "Scott and I were friends for years before we dated. We never really had an official “first date”; we met in 2007 and the saga between us began in 2010. We met in Virginia (my home state) then Scott moved back to Michigan. We thought we would never see each other again so I decided to go to school in Pennsylvania and that’s when we were reunited. In 2012 Scott moved to Pennsylvania and in 2015 he received an internship offer back in Michigan that was too good to turn down. 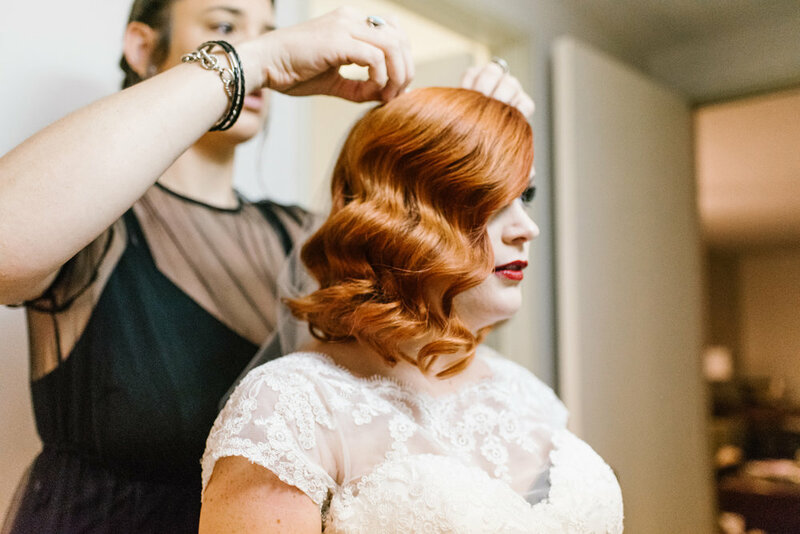 I graduated in 2016 and then moved to Michigan so that we could move forward." Scott's reply to how the proposal went, is a little bit more different, "Volcano, Airplane preparing to crash, Skydiving, Shirtless man with "Joe Dirt" style mullet trimming his hedges. You get the picture, use your imagination for the rest." After the ceremony we drove to Wyandotte, for the luncheon at Magdaleno’s. 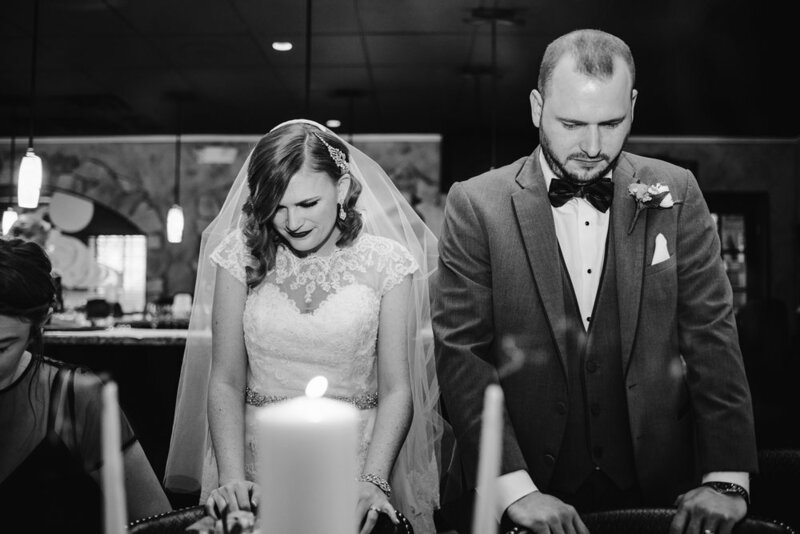 Melissa and Scott waited until the luncheon to light their unity candle. 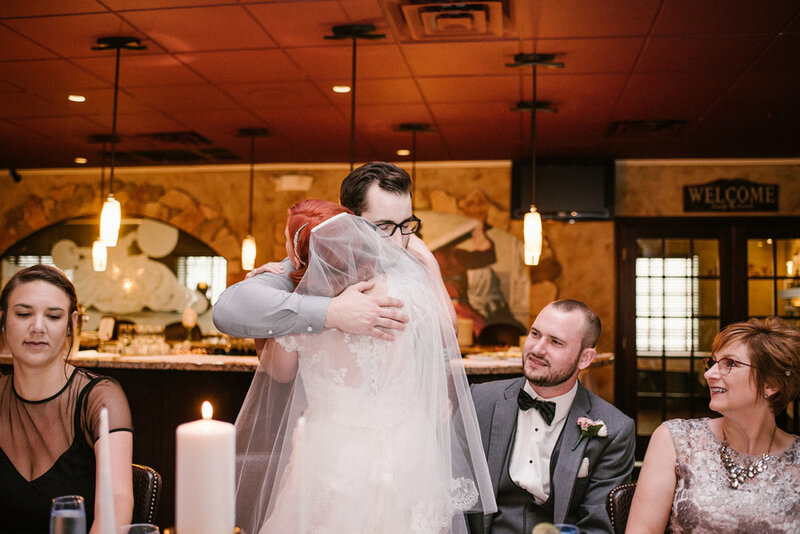 The ceremony itself was a very intimate part with just family and a few close friends, so they wanted to have everyone who came to the luncheon be a part of the ceremony. Melissa and Scott, thank you so much for being incredible. I hope this new adventure together gets better each and every day. 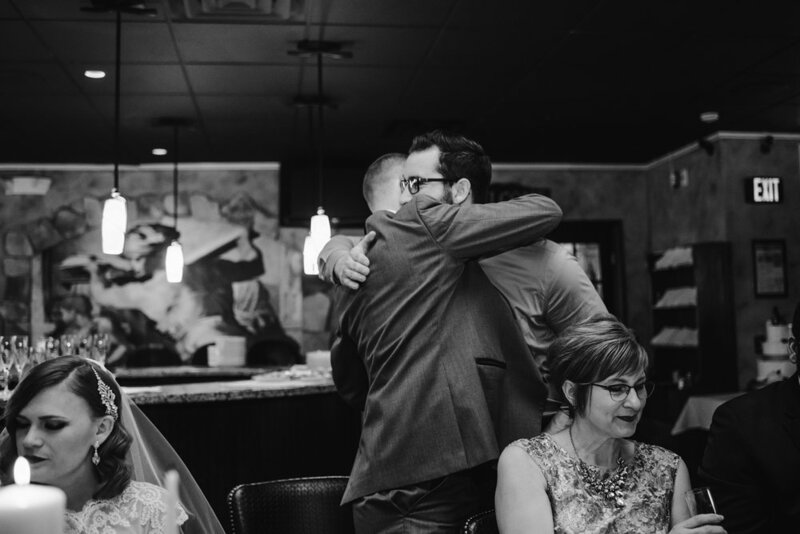 I absolutely loved being surrounded by your love and happiness on your wedding day.